6 Steps for Social Media Beginners" Is your business on social media? Even though social has been around for years, a lot of businesses find it overwhelming, intimidating, and confusing to get started. Clearly, social media is a timely topic. Now it’s time for you to get started. Pick One Social Media Site to Start - In a perfect world, you’d be active on every social network. To start out, though, try choosing one network and focusing your attention there first. Consider one of the big five: Twitter, Facebook, LinkedIn, Google+, or Pinterest. How to choose? 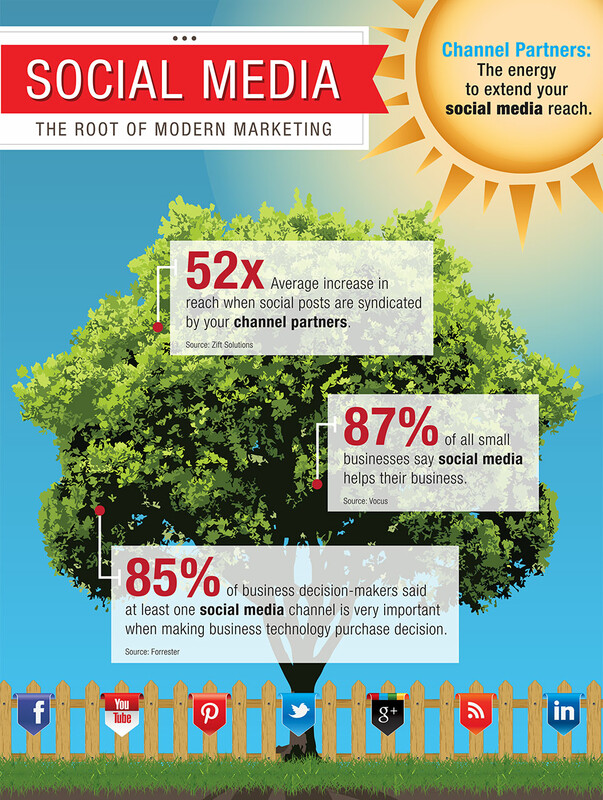 Generally, most businesses can benefit from having a Facebook or Twitter presence. LinkedIn and Google+ are good in B2B, software/technical, and financial markets. If your product is visual – think food, home decor, and fashion markets – Pinterest could be great for you. Make a Plan - It’s easy to spend hours each day building your social media presence – but you probably can’t afford to dedicate that much time. Instead, create a time budget that limits your social media time to a daily or weekly chunk that fits into your schedule. Next, decide who in your organization will be responsible for curating content, posting to the social media network(s), monitoring comments, and reporting on social media metrics. Social media is not a set-it-and-forget-it enterprise – unless, of course, you’re using marketing automation and/or content syndication tools (more on that in a bit). Define Your Social Media Goals and Objectives - What do you want to accomplish with social media? Generating leads, establishing yourself as an expert in your industry, or being top-of-mind the next time your customer needs to make a purchase? Make sure you are clear on your goals – and check your progress against them to stay on the right track. Consider Automating Your Social Media Efforts - One of the biggest challenges with social media is time management. Tools like Zift123 can help you manage your social media time more effectively by allowing you to auto-post syndicated content, schedule posts across multiple dates and channels, and even capture social media activity for automatic re-posting. While you don’t want to over-automate, the right tools can make the process of using social media much more efficient. Post to Twitter 1-5 times a day. Post to Facebook 5-10 times per week. Post to LinkedIn once per business day. Now that you’ve got a handle on when to post, you’ll need to figure out what to post. The possibilities are endless! Just be sure to post content that adds value to your community – content that makes your followers think, laugh, solve a problem, or engage with you. Be interesting, be knowledgeable, and find a balance between promoting your product and being human. Remember – not all of your customers’ needs relate to a purchase! Conversion - How many people took action because of your post? (Registrations for content downloads, webinar registrations, lead gen form completions, online sales). These metrics are readily available in all of the major social media platforms as well as your social media dashboard or automation tool.